The American toad is a commonly occurring species of the toad that is found throughout the eastern parts of United States and Canada. 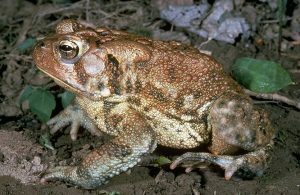 American toads are generally divided into three subspecies – The Eastern American Toad, the Dwarf American Toad and the RARE Hudson Bay Toad. It is the most commonly seen amphibian that can be seen in any area in the States. They are large animals, growing up to a height of 4.5 inches. They vary in color and patterns. American Toads are 5.1 to 11.1 cm large. They have elongated paratoid glands, which do not touch their cranial crests, which are connected by spurs. They are brown or brick red in color, but can even be olive sometimes. They are found in various patterns, and lighter colors. Sometimes, light stripe down middle of the back may also be present. Their belly is usually spotted. Males have a very dark throat. 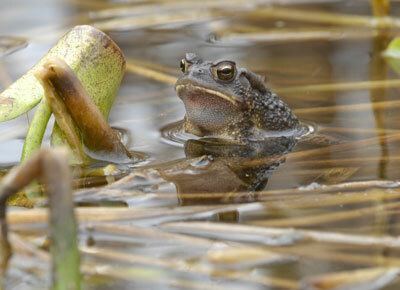 These toads have an enlarged gland on one side of their neck. Their skin is very tough and warty, and it contains many glands, which have the ability to produce poisonous milky secretions. They have short limbs, but their toes are webbed on their hind legs. Their pupil is oval shaped, and there is a gold circled around the pupil. They have a special characteristic of changing their color, which depends on the temperature, stress level and the humidity content. These are the paratoid glands, which secrete a vicious poison, which often gets smeared in the mouth of any kind of predator. It inflames their mouth and can cause nausea, irregular heartbeat and even death, in extreme cases. Apart from this, different subspecies have different characteristic features. The Eastern American Toad – It is a medium sized toad, with a variable color and pattern. The color of the skin changes, depending on the humidity, temperatures and stress. It has a spotted white belly. They have very less, or no markings on them. Their paratoid glands are of the same color as of the surrounding skin. But the glands are free of any kind of pattern on them. The Dwarf American Toad – It is a relatively smaller version of the American toad, with its color varying from light red to dark red. Is almost absent. Some of these animals have a white dorsal line in the middle of their back. They have an unusually high number of warts for their subspecies. Hudson Bay Toad – it is the most rarely occurring species of the toad. It is found mainly in regions around the Hudson bay. American toads are generally found throughout the eastern part of Canada and eastern USA. They prefer staying in areas where vegetation is abundant, and there is a semi-permanent body of fresh water. They are found in the gardens, agricultural fields and forests. They are chiefly solitary by nature. Only during their breeding season, they show signs of activity. They are active mostly during the night. During the day, they prefer to hide under the logs, leaf litter and rocks. If they live in a cold region, then they even hibernate during the winters. 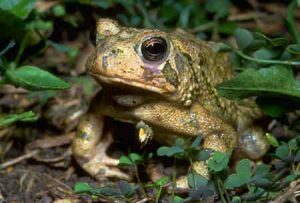 American toads feed on a variety of insects and invertebrates. They have a long and sticky tongue, which enables it to catch its prey. But if the prey is large in size, then they just grab it and force it in its mouth. They have a capacity of eating up to 100 insects in a day. They do not drink water, but absorb it through their skin. 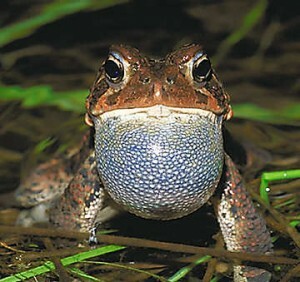 American toads breed mostly during the spring season. They male toads have a technique of gathering near the freshwater and calling on to attract the female toads. The females lay 4000 to 8000 eggs in two strings, and they take approximately 3 to 13 days to hatch. 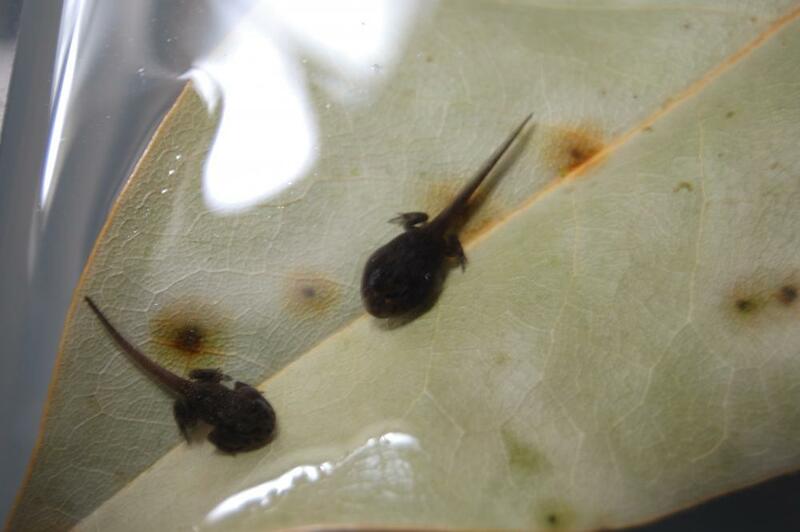 The young tadpoles have a very slender tail, but a large body. Their metamorphosis takes place over 40 to 70 days. During this period of metamorphosis, the tadpoles remain in water for a few days, and finally become fully terrestrial. The toads become sexually mature at the age of 2 or 3 years. American toads are expected to have a life span of about 10 years in the wild. However, on an average, they live only for a year. American Toads Hibernate during the winter season. If they live in a place that is very cold, then they need to hibernate during the winter months. American Toads are extremely helpful by nature. They help the humans a lot. They help them in the garden by eating up a huge number of pests. They also eat up the slugs and insects. There are some people who take the pleasant call of the toads as the call of the springs. But American toads have a tendency to pee when they are oicked up by human beings. Here are some American Toad Images that you may find interesting. 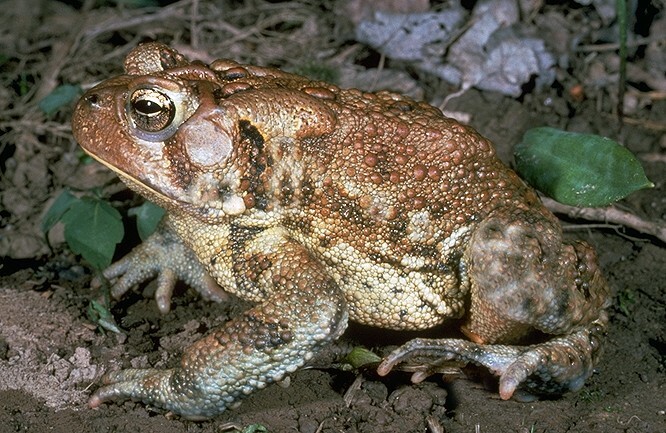 Check out the American Toad picture to know about this amphibian’s physical appearance. We have had a large toad living on our back patio for about 5 months in Massachusetts. It has grown quite a lot! It went away for a while then it returned. It lives under our grill, and then it moves when we move the grill. Our cat always wants to play with it, but we never allow that. I was wondering when will it go into hibernation? It has been really interesting to watch it grow, and just wondered what happens to them when winter comes. Where do they hibernate? ?